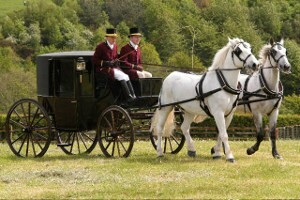 Elegant Victorian wedding carriages in Telford, Shropshire and Wolverhampton. 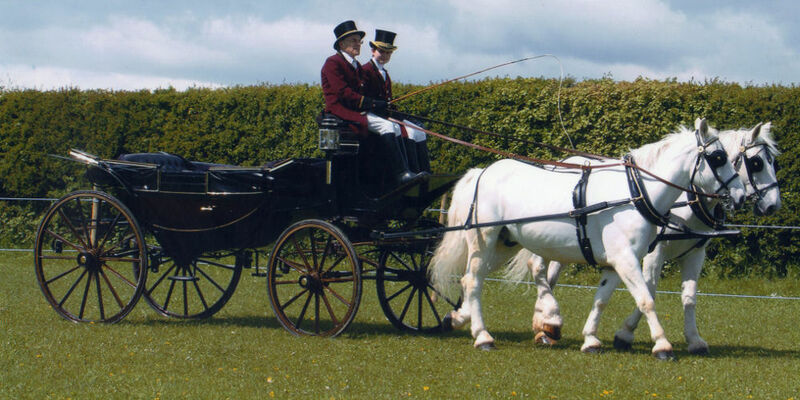 Established in 1970, The Wellington Carriage Company provides a range of elegant and traditional wedding carriages across Telford, Wolverhampton and Shropshire area. 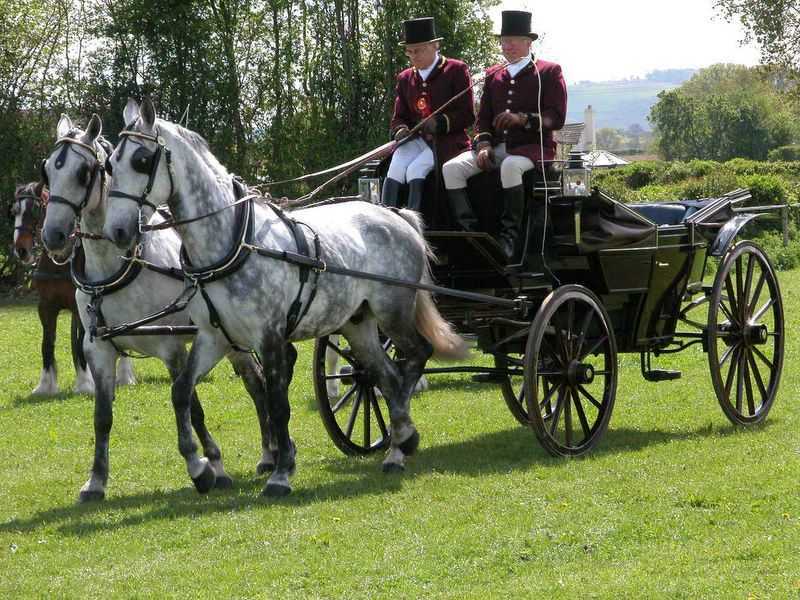 With magnificent greys pulling all our horse-drawn carriages, we ensure the image they present is one of pure beauty and grace. 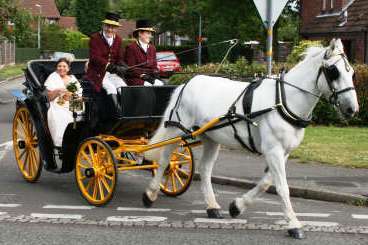 We have a number of wedding carriages available, from the pretty Victoria summer carriage to the resplendent glass state coach. 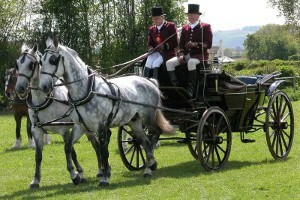 Wellington Carriage Company posses its own small fleet of unique historical carriages, however, almost any type of beautiful traditional carriage can be supplied via the company`s restoration lists. 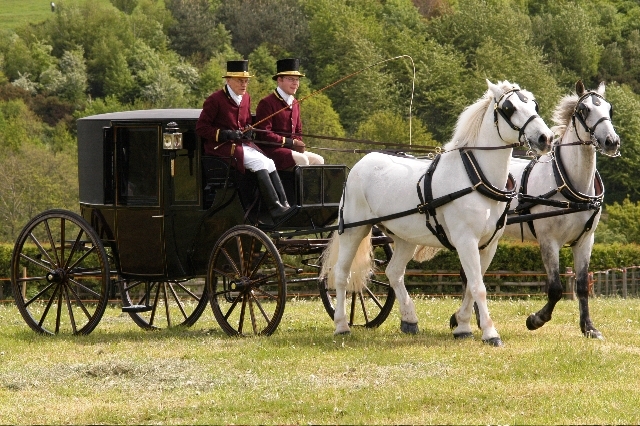 The fleet is available for your wedding or ceremonial event with either a single, pair or team (4) of white Hungarian horses. 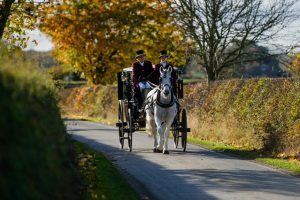 A wedding is the occasion for something truly memorable and a beautiful horse drawn, original,19th century carriage is as memorable as it gets. 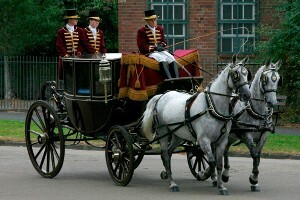 You could be straight out of the Royal Mews. 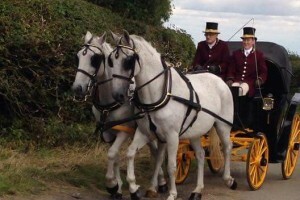 With Pair of greys and Victoria carriage September 2015 for a wedding near Ludlow. Read full article. 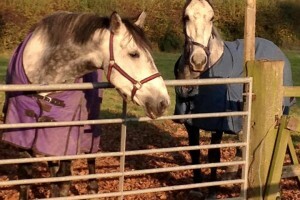 Video of some of our carriages. https://www.youtube.com/watch?v=GlTWmThk9ecRead full article.